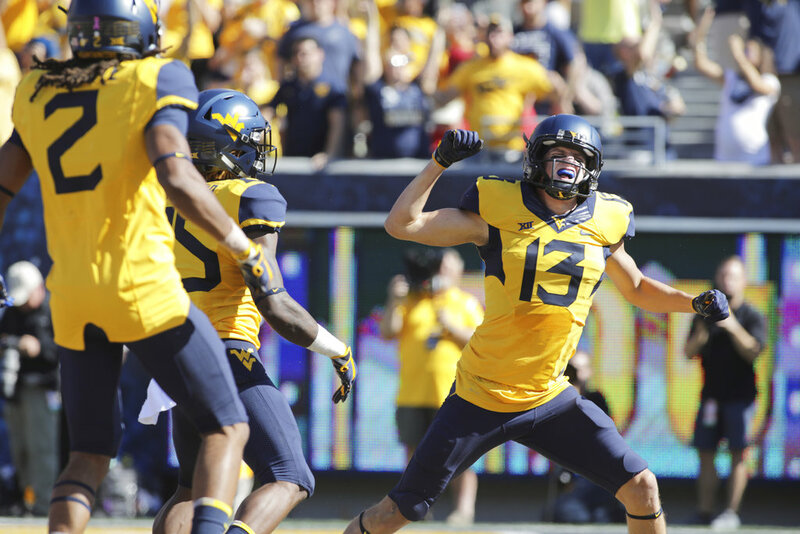 West Virginia is looking for its 15th straight win in a home opener and ways to shore up its depth, especially at quarterback and linebacker, with the start of the Big 12 season two weeks away. FCS Youngstown State, which shocked Pittsburgh in the 2012 opener, wants to add another marquee win over a Power Five opponent. West Virginia QB Will Grier against Youngstown State’s defense. Grier threw for a career-high 429 yards and five touchdowns in a 40-14 win over Tennessee last week and could be looking at another solid game against a young Penguins secondary. Youngstown State allowed a pair of fourth-quarter TD throws last week and lost to Butler on a last-second field goal. Youngstown State: RB Tevin McCaster, a 1,000-yard rusher a year ago, ran for 166 yards against Butler and goes up against a West Virginia defense that allowed Tennessee’s Tim Jordan to run for 118 yards. West Virginia: WR David Sills. The senior had two TD catches against Tennessee after tying for the FBS lead a year ago with 18. The Mountaineers have never lost to an FCS opponent. … West Virginia’s tight ends caught three passes against Tennessee after combining for two the past two years combined. … West Virginia LB Charlie Benton will miss the rest of the season with a knee injury suffered against the Volunteers … Transfers made significant contributions for the Mountaineers last week. WR T.J. Simmons (Alabama) caught a 59-yard touchdown pass and DLs Kenny Bigelow (Southern Cal) and Jabril Robinson (Clemson) combined for five tackles on a unit that was decimated by two offseason defections.